Many of Wildlife Mississippi’s habitat conservation initiatives allow landowners to enhance outdoor recreation opportunities. Conservation easements, offered through our sister organizations, the Mississippi Land Trust and the Mississippi River Trust, allow landowners to permanently protect forests, wetlands and other habitats. 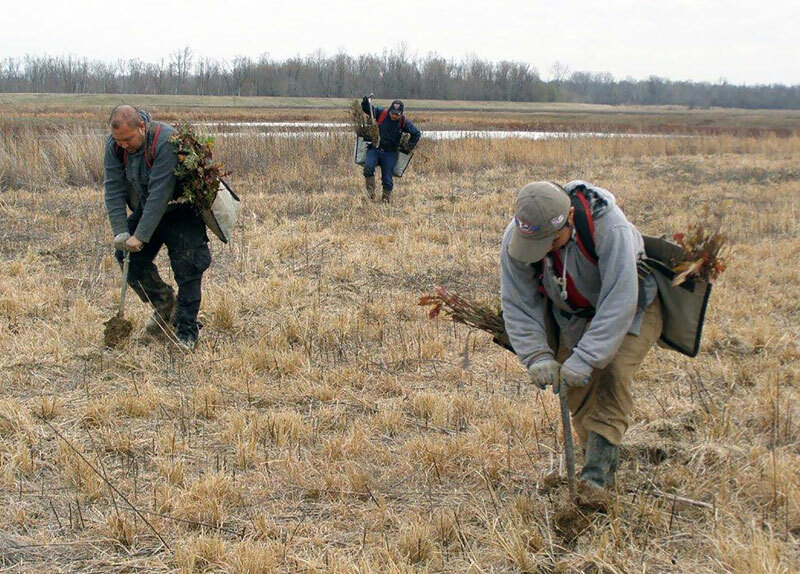 We help landowners secure financial assistance and easements through federal programs such as Wetlands Reserve Easements, Conservation Reserve Program and Wildlife Habitat Incentives Program. Through our Working Wetlands Conservation Program, we have helped landowners integrate waterfowl management practices, such as flooding fields during non-cropping seasons, into farm operations. Wildlife Mississippi has produced landowner handbooks to aid in the restoration of longleaf pine forests and native prairies. Other handbooks provide detailed explanations of conservation easements and conservation provisions of the federal Farm Bill. A series of articles on managing family land for recreation and other purposes appeared in Wildlife Mississippi magazine. The articles provide detailed information on habitat management, food plots, farm ponds and other topics. And our Wildlife Habitat Seed Program provides low-cost seed twice each year for wildlife plantings on private land.